Clearly written, well organized, and comprehensive, Language Development is the most widely used text in its field. 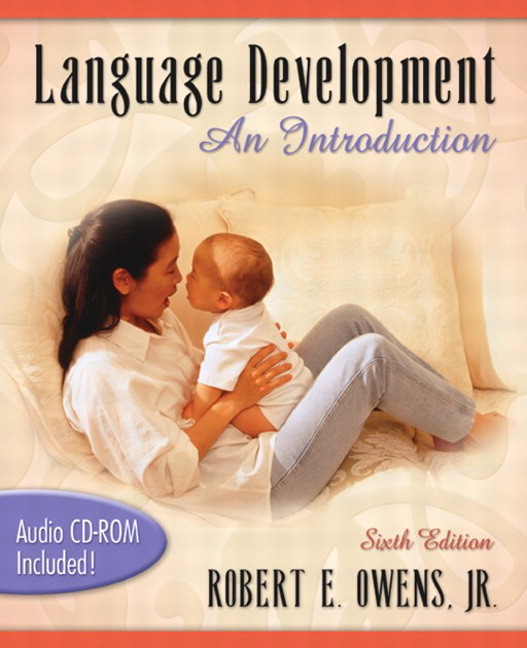 In recognition of the language variations among children, new advances in linguistics and neurology, and the importance of literacy, the Seventh Edition of this highly readable text devotes significant space to these areas as they impact our understanding of individual development. In addition, discussion of other cultures is included in the text wherever possible. Sections on culturally linguistically diverse children accurately reflect the realities of everyday life in the United States. Developed within a practical chronological framework, the Seventh Edition examines every aspect of syntax, morphology, semantics, phonology, and pragmatics. As in previous editions, Owens presents even the most complex, technical concepts at an appropriate level for beginning students. Chapter 2, “Describing Language,” includes Emergentism, rounding out the theoretical approaches to the topic. Chapter 3, “Neurological Bases of Speech and Language,” includes the latest information on Theory of Mind. Subsequent chapters address this topic within development. 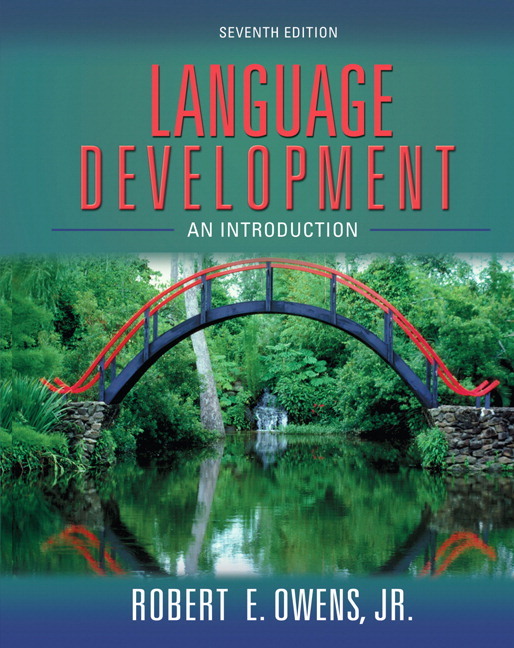 This new edition includes a concise chapter on adult language development. Examples of child language are placed throughout the book to help students understand the changes in language development. The new edition includes an entire chapter on literacy development. Updates to Chapter 4, “Neurolinguistics,” include the latest in brain imaging information to convey key links between anatomy, physiology, cognition, and language, and the roles these links play in the development of language abnormalities. The Companion Website now includes extensive audio examples of child language as well as new study guide content for student review. New two color format design and larger trim for better readability. Which Came First, Cognition or Language? 6. Language-Learning and Teaching Processes and Young Children. Interdependence of Form, Content, and Use: Pronouns.